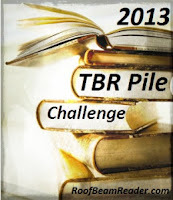 Hosted by Adam @ Roof Beam Reader the goal of this challenge is to read 12 books which have been on the bookshelf or TBR for at least one year. My bookshelf is miniscule. 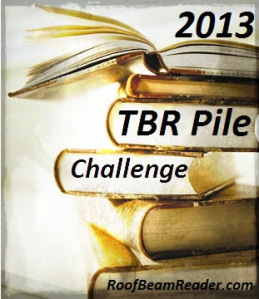 Last year I didn't even have enough books to be able to take part in the challenge. This year the numbers have grown considerably and I'll be very happy if I can read those that remain from 2011. The only one of these that I've read is Possession, by A.S. Byatt. It is a superb piece of work - but be prepared to have to "stick it out," at least in the beginning. It's a bit of a trudge for the first half, but totally worth it in the end! I also love Atwood and Eliot, though I haven't read those particular works, yet. Looking forward to your reviews! Good luck! Thanks Adam - I'll bear in mind your advice on Possession. I just loved Possession, but I would sugget putting Middlemarch in the alternate list -- this is definitely not an easy/exciting book... Good luck with the challenge! Middlemarch is actually at the top of the the list as I'd already decided on reading it this year. I plan on reading it slowly beginning in January. I'm participating in this challenge too! My list will go up on Saturday. I read and really enjoyed Middlemarch. It is a bit slow, but it’s one to savor, not rush through. Also, The Shadow of the Wind is one of my all-time favorite books, so I hope you like it! I just re-read it this year and it was even better the second time around. I'm looking at Middlemarch as a year long project and definitely want to savour and not rush. Shadow of the Wind is one of those books I know I should have read long before now. Look forward to seeing your list.